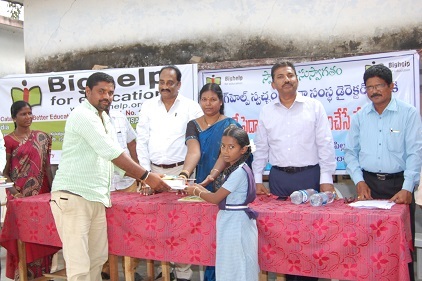 Located at Zilla Parishad High School, Pillalamarry village, Suryapet District, Telangana, India. All 10 children sponsored in this project under Sponsor-A-Child program are orphans and semi-orphan. All of these children are at the brink of discontinuing their studies due to their deprived condition before Bighelp sponsor their education. The full details of each sponsoring child are provided below. 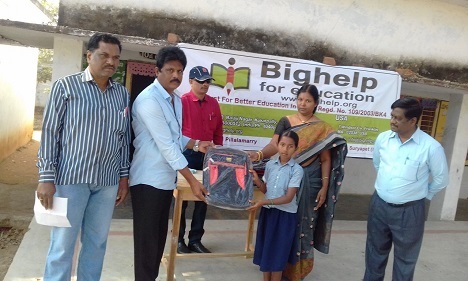 This is the third project in the district of Suryapet and is the 40th active project for Bighelp in the both states of Andhra Pradesh and Telangana under Sponsor-A-Child program. This project helps the orphans and underprivileged children to continue their studies with the support of their sponsoring donors. 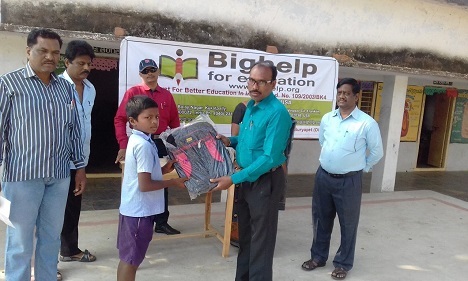 In addition to getting financial assistance to pay the school fees, buy books, clothes, shoes, educational material and private tuition, in this program children are benefited from more individual attention by our project directors and project committee (group of Bighelp volunteers) that has been established in this village. 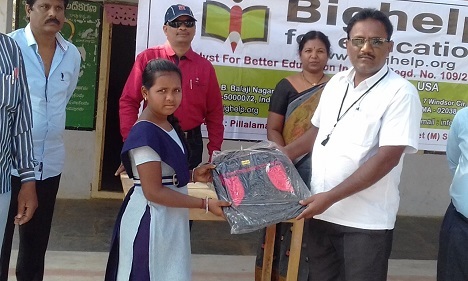 These students will continue to get the sponsorship from Bighelp until they complete their 12th grade as long as they continue to perform well and meet the eligibility criteria. There are many children in and around the village of Pillalamarry who have no option but abandon their schooling and go to work to support their family. The situation is even worse if the child does not have parents and earn their bread themselves. For all children sponsored under this project, it was almost everyday struggle for their existence and continuing their education was distant dream. 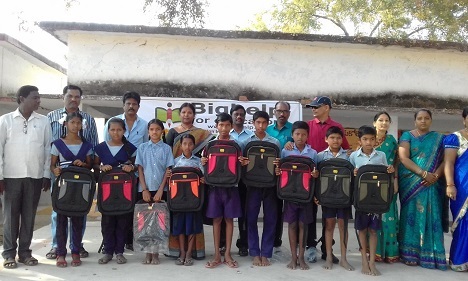 Bighelp was able to form a project committee with the support of school headmaster, teachers, and villagers to help these underprivileged children and hope to give them a gift of bright future with the help of the sponsoring donors. Pillalamarry is a Village in Suryapet Mandal in Nalgonda District of Telangana State, India. It is located 46 KM towards East from Nalgonda. 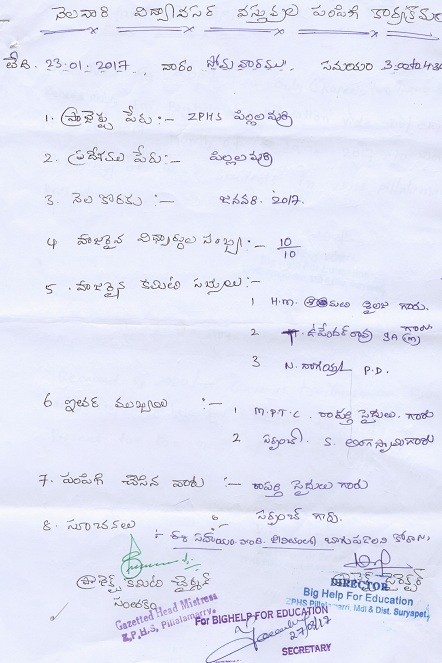 Suryapet is the Nearest Town to Pillalamarry. Road connectivity is there from Suryapet to Pillalamarry. Mr. Srinivas Goud Raparthi M.P.T.C. Mr. Jawaharlal has enlightened the efforts taken by Bighelp Chairman Mr. Chand Pasha to eradicate illiteracy in India. 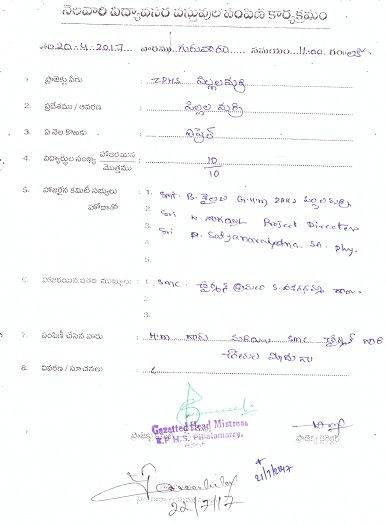 Bighelp received a proposal from Mrs. Sailaja (Headmistress of the Z.P.H. 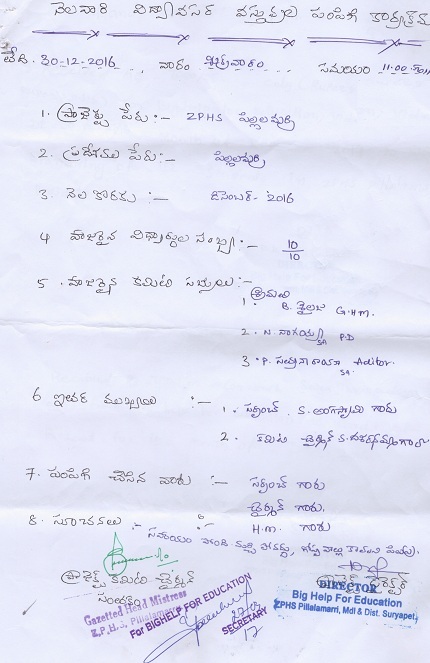 School at Pillalamarry village) requesting Bighelp to consider their school under Sponsor A Child program. In his letter she informed there are orphan, semi orphan and poor students in the school and also the staff who will work with social service attitude. After receiving the information from Headmistress Administrative office corresponded requesting her to send the list of eligible students to consider her request. After taking in to consideration the proposal has been approved by the Executive Body.